Remind parents of the program and encourage the children to bring their Thirteenth Sabbath Offering on September 26. As you collect the Thirteenth Sabbath Offering, remind everyone that one fourth of their Thirteenth Sabbath Offering will go directly to the projects in the Southern Asia-Pacific Division. If your class will not join the adults for a special program, present the following story promoting the special children’s Thirteenth Sabbath Offering project during the mission time. Today is Thirteenth Sabbath. That means it’s the day when we give a special offering to help the people in Timor-Leste, Sri Lanka, and Bangladesh with their mission needs. Speaker 1: At the beginning of this quarter we heard about two brave girls—Febrina and Helena—in Timor-Leste. You might remember that these girls had terrible problems at school because they refused to come to school on Sabbath. Their teachers didn’t understand why they wouldn’t come to school on that day and punished them. But the girls remained faithful to Jesus and kept His Sabbath day holy. 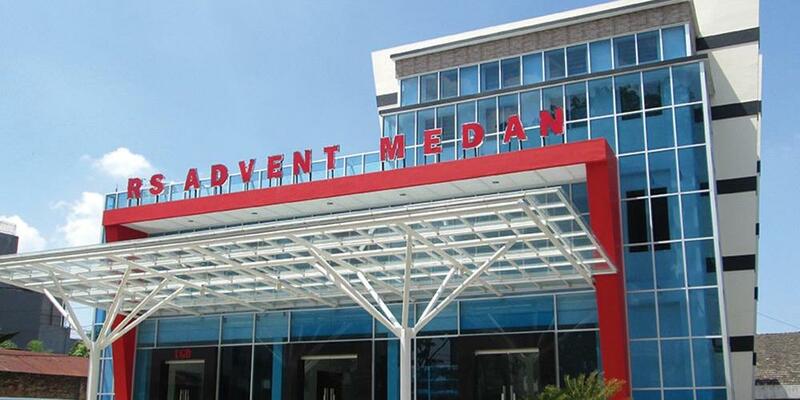 Narrator:There are so many Seventh-day Adventist children and parents who are praying that soon there will be an Adventist School in Timor-Leste. Part of our Thirteenth Sabbath Offering this quarter will help to build a Seventh-day Adventist school in that country so that children will be able to go to school and not be punished for not coming to school on the Sabbath. Speaker 2: The next country we learned about was Sri Lanka. Perhaps you remember the exciting story about The Big Yellow Truck, and how Jesus kept the mission school teachers and children safe as the truck was run off the road. Speaker 1: We also heard from two children from the Lakpahana Adventist School in Sri Lanka. Lakpahana means “shining light,” and it was exciting to hear how Jesus used the people at this school to shine the light of Jesus in the hearts of Abilasha, who came from a Hindu family, and Saumya, who had been abandoned by her mother. Both girls have given their hearts to Jesus and are happy to be students at Lakpahana. Narrator: Lakpahana Adventist College and Seminary is a wonderful school, but unfortunately, they do not yet have an Adventist church on their campus. Part of this quarter’s Thirteenth Sabbath Offering will be used to build a church on the campus of this very important school in Sri Lanka. Speaker 1: In these stories we were reminded how Jesus uses kindness to help us teach others about Him, and how He answers prayer and takes care of His people. Speaker 2: Adventist schools are very important because so many students learn about Jesus there and give their hearts to Him. Adventist schools are also a place where students are trained to be missionaries and to help other people. Part of our Thirteenth Sabbath Offering this quarter will be used to build a school of nursing building at the Bangladesh Adventist Seminary and College—the same school where Kelvin (from “Kelvin and the Picture Roll Man”) is a student. Narrator: Now, before we collect the Thirteenth Sabbath Offering we have two short stories to share with you. Speaker 1: These stories are about two boys who attended the Seventh-day Adventist Maranatha School (also known as “SAMS”) in Bangladesh. Speaker 2: The first boy’s name is Mohesh. Mohesh wasn’t born into a Christian family, but when he was about ten years old, his parents learned about Jesus and became Seventh-day Adventist. Speaker 1: They wanted to their son to receive an Adventist education, so they sent him to SAMS. Speaker 2: While at SAMS, Mohesh learned more about Jesus and decided to be baptized. As he grew older, his love for Jesus continued to grow and he decided that he wanted to become a minister and tell others about God. Speaker 1: So Mohesh continued going to school and he became a minister. He then returned to his village, but he was afraid that the people in his home town wouldn’t accept him as a pastor. Speaker 1: But not everyone was happy that Mohesh had come back as a pastor. Some of his old friends always made fun of him whenever they saw him and tried to make his life as miserable as possible. Narrator: The second story is about a boy named Anukul. Like Mohesh, Anukul also went to school at the Seventh-day Adventist Maranatha School (SAMS) in Bangladesh. While living in the dormitory he learned about Jesus and gave his heart to Him. Speaker 1: Anukul loves to share his love for Jesus, and to help others whenever he can. One day he and a group of friends were walking together and saw an old man crying beside the road. Speaker 2: They stopped and asked the man what had happened to him. The man responded that a thief had taken all of his money. Speaker 1: Anukul and his friends were so sad for the old man and prayed with him, asking God to help him. Speaker 2: The next day, Anukul and his friends went to visit the old man to see how he was doing. Speaker 1: So Anukul told the man about the only true God, and shared his favorite Bible text: “Jesus wept” (John 11:35). “I love this verse because Jesus came to the world and sacrificed His life for our sins,” said Anukul.